Take Back are an award-winning Manchester based theatre collective, making work inspired by social and political events. Last at the Comedy Store in January 2017 with Take Back America: a riotous response to the presidential inauguration of Donald Trump, this latest evening is a celebration of our wonderful NHS, a thank you to its workers, and a call to arms to save it. 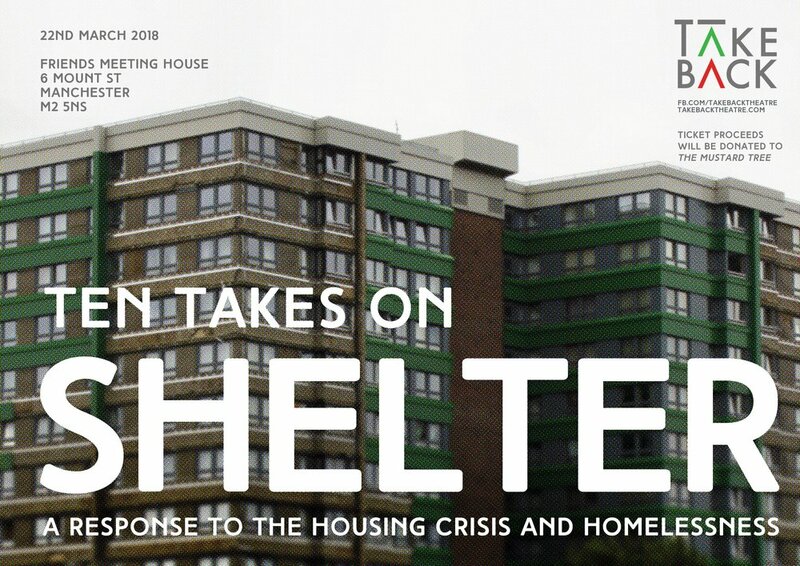 Join us for an evening of ten brand new script in hand pieces, in response to homelessness and the housing crisis. Proceeds of the event will be donated to Mustard Tree. More info on writers and creatives to follow.